Kadambari Sangeet Mahavidyalaya main aim is to bring out the hidden and potential talent of the children and youth. Students of Kadambari Sangeet Mahavidyalaya get exposure to various activities from dance, art, singing, instruments and vocal. We are giving an equal opportunity to our students to pursue the field in which they are interested. During the short period of time, many students of KSM will show their talents in the public area. Every parent sees the dreams for their children. They set some goals in their mind to inculcate some of the best values in their life. Music makes them more happy, confident, outlook and expressive. We are a dedicated team of professionals to promote people interest and talent for the musical, visual and dramatic arts through unparalleled mentorship in the state-of-the-art setup with an industry leading top track record. 1. 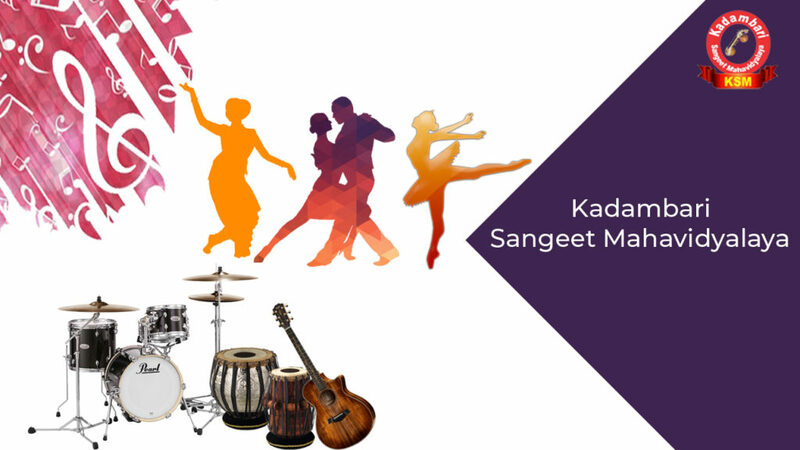 Kadambari Sangeet Mahavidyalaya is a complete school of music and dance which has been started in an effort to impart music all over the world. 2. We provide a great multicultural activity center in India with a long tradition of art and culture. 3. Within a short period of time, it is going very rapidly towards its goal to cater to the task of propagation and preservation of Indian art and culture and music. – Kadambari Sangeet Mahavidyalaya gives the great opportunity to upgrade the knowledge and skills of students. We are imparting best quality and strong knowledge base to each and every individual who uphold the cultural values in their heart. Each student will be given an equal chance of bringing their talent into the public platform. – Art and music have been a great part of the human entity since the dawn of human civilization starting from caveman until today. Kadambari Sangeet Mahavidyalaya provides a great platform to students to express emotional, social and emotional perception through music and art. – A person who knows symbolism used in art and the significance of color schemes should be able to express their feelings more efficiently and more accurately rather than a person ignorant about these.